We proudly announce the BOLT has joined the agent portfolio of Jia Dyi in May, their revolutionary electronic blow-back rifles, along with ICS’s EBBRs, represent the creativities and collective wisdom of Taiwanese AEG manufacturers. For example, Bolt has adopted 6.00mm precision inner barrel in its full line rifles, and their patented device, Bolt Recoil Shock System(B.R.S.S), has evolved from reciprocating weight hammer inside the stock tube to the latest design deployed on MP5 SMG series and AKS-74U,which directly generate the shock inside the chamber. ELITE is Bolt’s first middle pricing series, with polymer hand-guard and plastic piston with full steel teeth. 10.5” or 14.5” outer barrels; carry handle or flip rear sight; BOM or BOE delta stock; and 300rds polymer hi-cap AR magazine or 450rds AK style magazine, gives 8 selections to budget players. 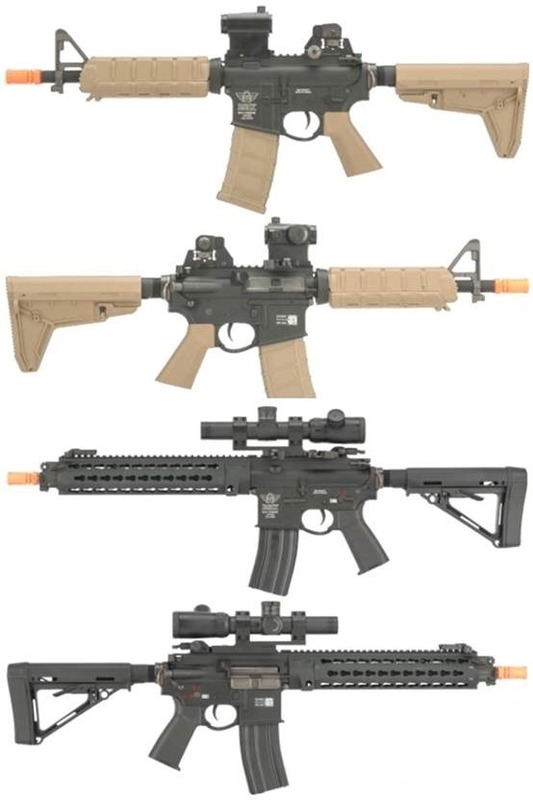 DEVGRU series were developed on 416 models with 9” rail. Also equipped with 10.5” or an extension outer barrel for long distance strike, DEVGRU can also be installed with two types of silencers. But the latest KEYMOD rail makes its LTD the most wanted models for collection. ICS fired its first shot in 2018. The most significant change is M-LOK, a CNC-machined aluminum hand-guard licensed by Magpul. 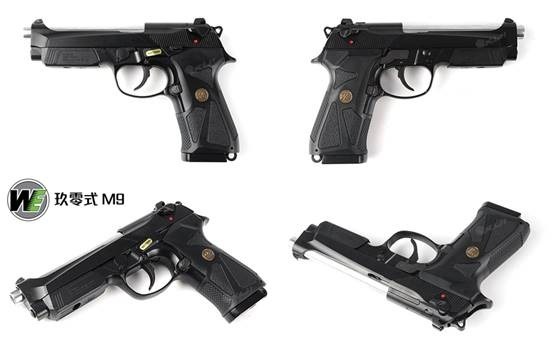 The other characteristics on CXP-MMR series airsoft guns include：ICS split gear box which provides quick change for spring, enlarged trigger guard and magazine release button that facilitate operating with gloves, and double sided sling mount. 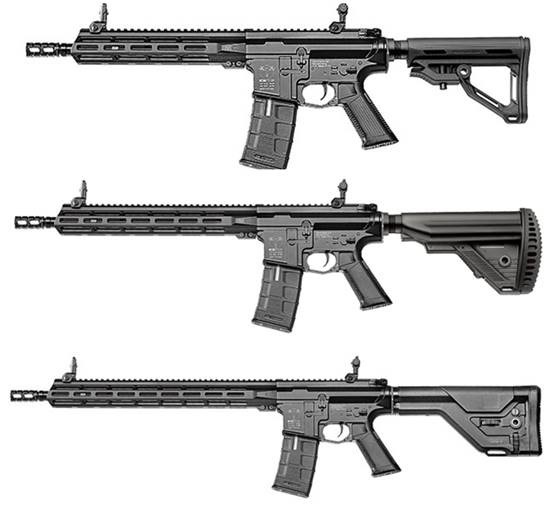 The longest version, DMR, carries 18” outer barrel with a UKSR adjustable stock; the carbine version owns a standard 14.5”, the short barrel rifle, SBR, is installed with 10.5”. All of the CXP-MMR series also have full tan finishing to be chosen by outlooks. 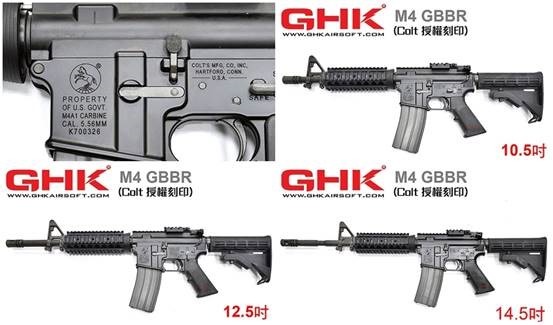 In order to present faithfully the details of AR, GHK offers two licensed logos from Colt and the Marine. The surface treatment uses desalinated manganese phosphate, which is twice as expensive as manganese phosphate and does not rust or scratch. Its receiver is aluminum die-casting, with high precision and stability, and good strength. Its barrel is made by a foundry for the Montblanc, with fine heat dissipation, light weight, but a true gun grade. Inside there are new HOP-UP system, the sixth-generation hammer within a full steel bolt, besides, the inner tube is a 6.03mm precision tube. The gas consumption of the M4 is better than that of the G5. One and a half magazine can be empty under full-auto mode, while semi-auto can last for 2-3 magazines. It was the latest member from WE M92 family. Its rear smooth line shape and trigger guard both remind its cousin, Beretta PX4, except the short beaver tail behind. This modern Beretta M92 equipped with silver outer barrel shows its fearless and boldness when pointing to foe. If you were interested in above quality airsoft guns made in Taiwan, please leave message at sales@jiadyi.com, we don’t keep annoying MOA requirement like most of manufacturers, instead, Jia Dyi often brings you product combination that across various brands and grades. Try us today, we wait!